This article will walk you through the process of setting up your new Campaignzee account. Once you have these accounts it's super quick to get your Campaignzee account set up. 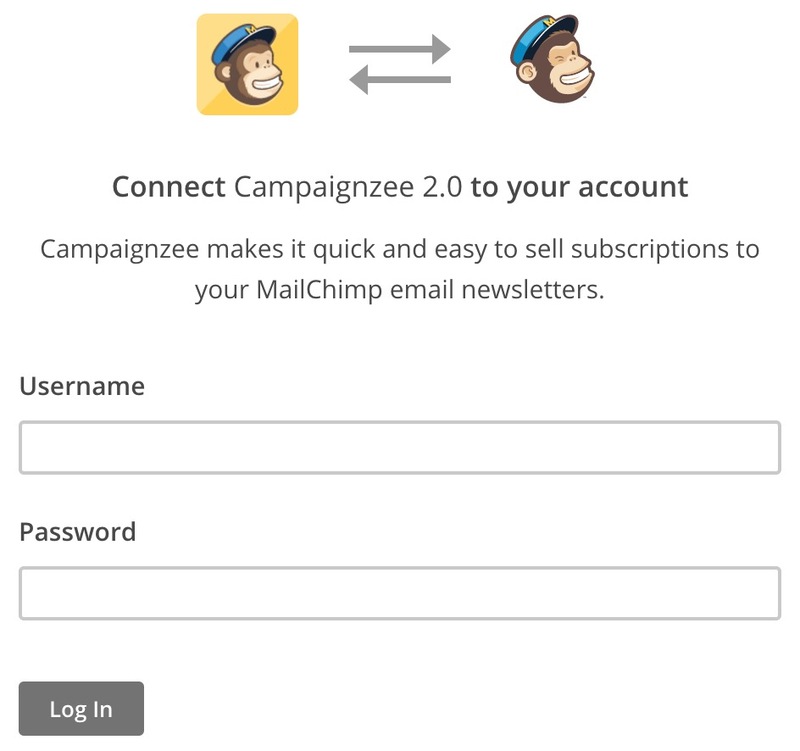 Note: You will need to create a Mailchimp account before connecting it to Campaignzee. You can create a Mailchimp account here. Click Connect Your Mailchimp Account. Type your Mailchimp Username and Password, and click Log In. Click Connect Your Stripe Account. If you already have a Stripe account, click Sign in in the upper right-hand corner. If you don't have a Stripe account, enter all necessary details and click Authorize access to this account. That's it! You've connected your Mailchimp and Stripe accounts, so you're ready to begin selling subscriptions.